The world of Hindustani music venerated her as Maa Annapurna Devi. She was a sadhika who abhorred the arclights of the concert stage, shunned publicity and refused to face the public eye even when invited to accept prestigious awards. Ironically, her life had enough heartbreaks and controversies, as eager scholars of music followed her footprints and prestigious awards like the Padma Bhushan (1977), the Central Sangeet Natak Akademi Award (1991), Desikottama (1999) and SNA Ratna (2004) lay strewn on her path. On the fourth day of Navaratri—on 13 October 2018— Annapurna Devi left for her eternal abode at the age of 91, to be with her father-guru Baba Allauddin Khan and her eldest sibling Ali Akbar, both of whom left an indelible mark on her personality. 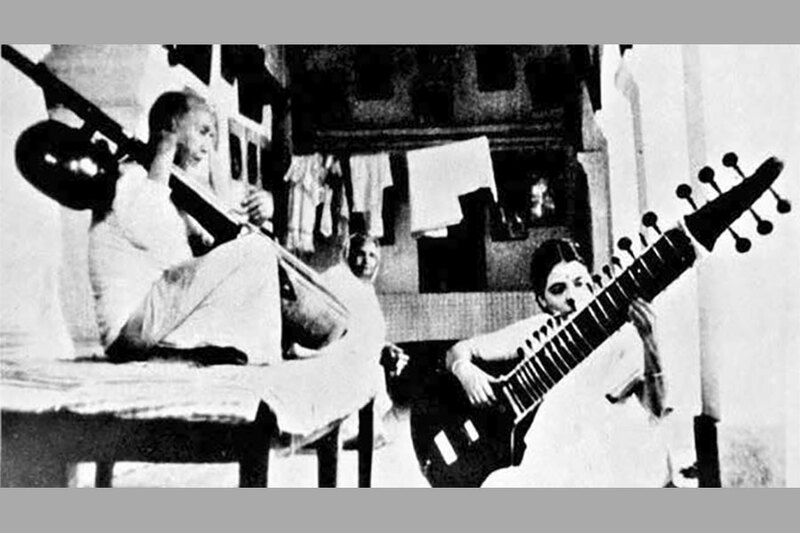 Like her Baba, she was an inextinguishable flame that safeguarded the purity of raga music of the Maihar gharana; and like her brother—the sarod maestro Ali Akbar Khan—she exemplified guru bhakti. The musical journey of Roshanara, the youngest child of Baba Allauddin Khan, is said to have started on the auspicious day of Chaitra Poornima, whereby she was christened as ‘Annapoorna’ by the Maharaja of Maihar. It is amazing in many ways because very little has been said, written or discussed about her life. She remained an enigma. In the foreword of a book on Allauddin Khan, she described how her taleem commenced on a fateful day when Baba was away on an errand after giving some musical instructions to his sondisciple Ali Akbar, who was not able to get it right. “I was telling Dada the actual process when Baba entered the room stealthily. He did not say anything, but gave me the tanpura and began teaching me vocal and sitar.” Gauging her introspective approach and dedication to raga-music, he soon advised her to take to the surbahar, a vanishing and demanding instrument. Much later she proved his intuition right. “Personally I did not enjoy performing. For me music has always been my offering to God. I never felt comfortable recording it,” she said.